Your medium of communication you all so dearly adore will be destroyed. If you are a willing hactivist or a guy who just wants to protect the freedom of information then join the cause and kill facebook [sic] for the sake of your own privacy. You cannot hide from the reality in which you, the people of the internet [sic], live in. Facebook is the opposite of the Antisec cause. You are not safe from them nor from any government. One day you will look back on this and realize what we have done here is right, you will thank the rulers of the internet [sic], we are not harming you but saving you. Anonymous goes on to say that Facebook will be destroyed November 5, 2011 (yes, the infamous Guy Fawkes holiday). Anonymous recently began its own social network, AnonPlus, which was taken over by Syrian hackers. It remains under their control, with a message denouncing the group and extremely graphic images. We wouldn’t worry too much about losing access to Facebook. Anonymous attempted to take down Amazon earlier this year, and was unable to do so. 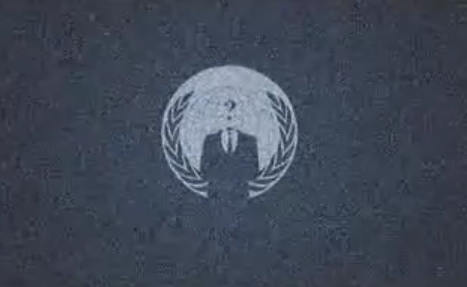 Check out Anonymous’ video message in full below.